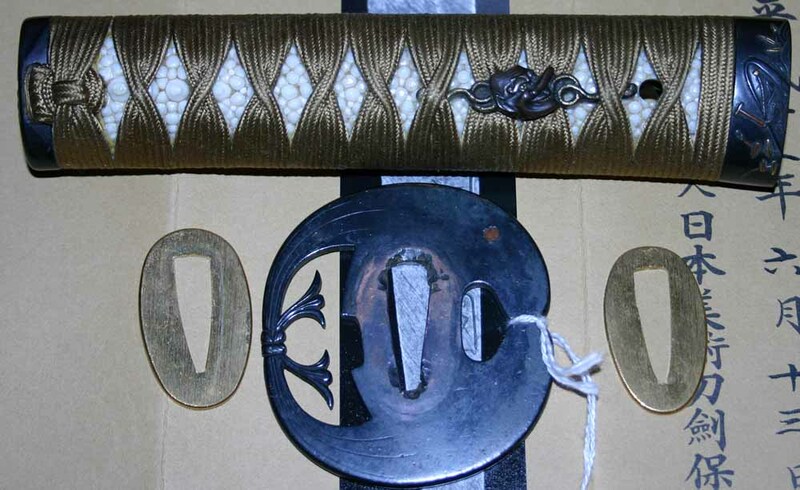 This beautiful sword is by Suruga no Kami Kunimasa and was part of the Yasusada school. This sword has a wonderfully active hamon and very tight hada. 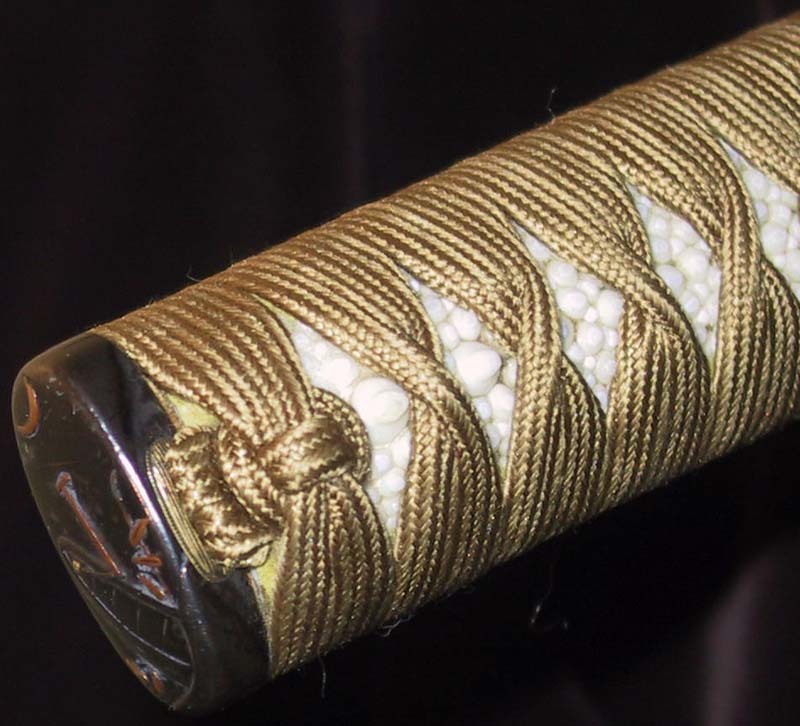 The mounts are very nicely done in shakudo, gold and silver with 2 piece solid silver habaki. 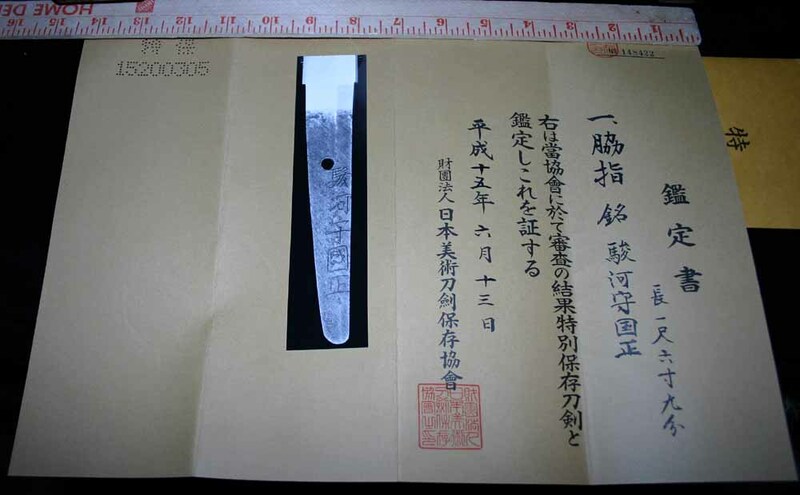 This sword also has NBTHK Tokubetsu Hozon papers. Don't miss out on this great piece.